These are some questions I have asked pro triathletes a few years back for a publication I was working on. I thought it would be fun to break them up into questions and post a new question each week. What brought you to the sport of triathlon? I grew up near Forster the original home of Ironman Australia and I would volunteer on the aid stations with my parents in the mid to late eighties. I didn’t start triathlon till 1994 but I’d seen, supported and knew about it from a young age. I did Noosa Triathlon for fun when I was about 20. I was on a borrowed Flat bar style mountain Bike and even though I got thrashed I loved it! There was the Ironman Zurich just around the corner from my house and I entered the olympic junior race as my first triathlon. Terrible experience, I got 2nd last. I was previously a runner. After several injuries I bought a bike to cross train. I enjoyed it so much I started competing in cycling races locally before my (now) manager convinced me to give triathlon a go. I began running just as a way to stay in shape. Just because it got you 2 free beers at the beer garden after, and I ran a local 10K and ran okay. A friend who had done some triathlon in college urged me to try out triathlon and I am glad she did. I did a sprint race and was hooked. I was bored with my working life and needed something for me, a hobby. I hadn’t done any exercise in about 7 years and my husband encouraged me to have a go at one of the short triathlons aimed at getting women involved (200m swim, 15k bike, 3k run). That was in 2005 and I was instantly hooked on the sport. I started triathlon 7 years ago when I moved to Australia from Sweden. Back in Sweden I had done some running and mountain biking. After moving I wanted to keep that up but found that I preferred riding on the road. I then started doing some riding and running with a tri squad and thought I might as well take up swimming as well since everyone else I was training with was doing it. I did a few races and found that I was doing ok (once I got out of the water that is). After about 2 years I started taking it a bit more seriously and did a few longer races and really found my stride and from there, there was no turning back. The Lennox Head triathlon, made my debut when I was 10 and haven’t looked back. I first started out in triathlons at my school in SA in year 10 at Sacred Heart College; I played AFL and Cricket at a high junior level and thought it would be a good idea as it was introduced as a school subject. I think I finished 3rd last in my first race but I was hooked and gave up all my other sports to concentrate on being good at this sport. I have always been competitive at a range of sports, playing rugby and racing Motocross from an early age. I was drawn to the challenge and enormity of an Ironman, I work as a Personal Trainer and have coached a few athletes at varying distances of Triathlon and running. It is a great sport for socialising and training with like-minded people, and complements a healthy lifestyle. My brother got me into the sport when I was 15. I started swimming when I was young and quickly had success with some national titles and records. My performances started to plateau when I was about 13 and others started to mature quicker than me. I went from winning titles so not even making finals, all because overnight kids grew beards and grew upwards while I remained rather undeveloped. Naturally I began to lose interest in swimming, and because I was doing a lot of school running at the time I easily found triathlon. I loved it and it stuck. I was playing semi pro football, and I was playing in an FA cup qualifying round, I was stood on the pitch and I just thought to myself why am I doing this! So I stopped playing. I was going to America, and In the airport I seen a triathlon magazine, I thought that sounds cool. Booked my 1st race which was London Tri. At the Age of 16 I started to do some mountainbiking and with 18years I did my first race and discovered my competetiv genes. The following winter I wanted to stay fit and went to the pool twice a week. 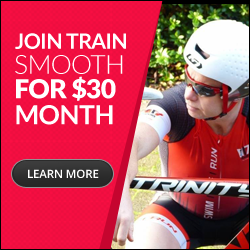 I met a triathlon training squad and started to train with them. In the next summer I did my first triathlon and got hooked immediately although my running was really bad. Actually my friends at school and I entered a team triathlon and I barely made it through the swim section or 500m and got owned by every-one and it hit a competitive nerve in me… Since then I have been doing tri’s for fun and competitively. I was actually a tennis player, but I did a lot of swimming and cross country running for my high school team and one day a schoolteacher suggested a few of us do a triathlon and I did pretty well, considering I was on a mountain bike, and so I was hooked with the sport. My first triathlon was at the start of 2006 down at Beauty Point. My mate Matt Guy asked me come along to it, where I competed in the novice race and came third. What kept me hooked is the variety of training you are able to do, it never makes the sport boring.